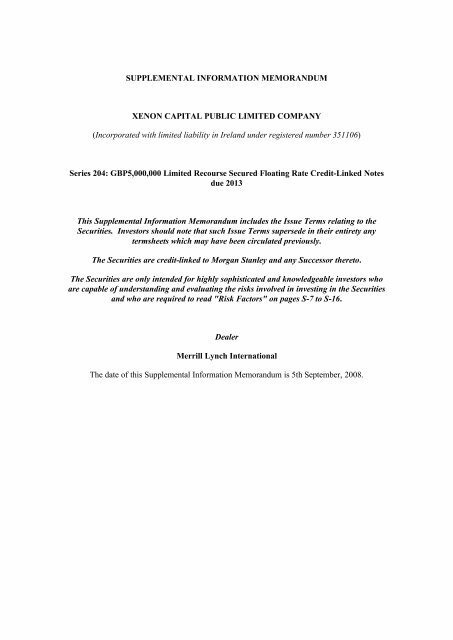 SUPPLEMENTAL INFORMATION MEMORANDUM XENON CAPITAL PUBLIC LIMITED COMPANY (Incorporated with limited liability in Ireland under registered number 351106) Series 204: GBP5,000,000 Limited Recourse Secured Floating Rate Credit-Linked Notes due 2013 This Supplemental Information Memorandum includes the Issue Terms relating to the Securities. Investors should note that such Issue Terms supersede in their entirety any termsheets which may have been circulated previously.  The Securities are credit-linked to Morgan Stanley and any Successor thereto. The Securities are only intended for highly sophisticated and knowledgeable investors who are capable of understanding and evaluating the risks involved in investing in the Securities and who are required to read "Risk Factors" on pages S-7 to S-16. Dealer Merrill Lynch International The date of this Supplemental Information Memorandum is 5th September, 2008. Page 22 and 23: (c) Reference Amount: EUR6,313,000. at the request of Securityholders).